Malta, 13th September 2018 – Games from innovative lottery supplier Helio Gaming are to go live in Nigeria for the first time after the supplier agreed a deal with Hammer Lottery. An operator-branded 6 of 25 game, costing 100 Naira a ticket and drawn twice a week, will be launched in September, with further games boasting localised features to follow in the coming months. Richard Mifsud, CEO at Helio Gaming, who is planning a local CSR initiative as part of the launch, said: “I’m delighted to announce our cooperation with Hammer Lottery and I am very confident their customers will enjoy playing our games. 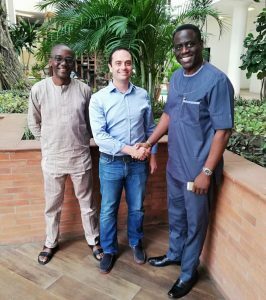 Olumuyiwa Awosile, Managing Director at Hammer Lottery, said: “We are very pleased to have reached an agreement with Richard and the team at Helio and are excited about the opportunities the deal presents.